Jess is a shopping loving gal who loves animals, her little grey kitten, the beach, frangipanis, jogging and is a dedicated teacher. 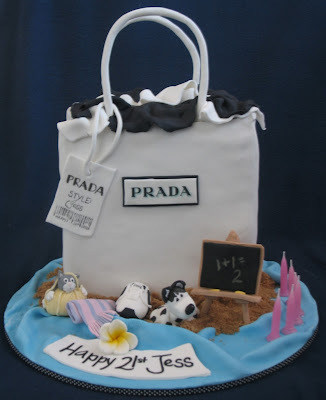 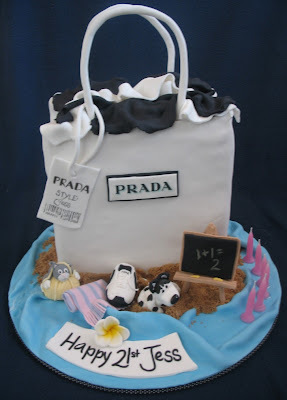 The Prada bag held the cake and the shopping tag was personalised to Jess. Some sand was added for her beach love as well as a wool loving kitty, a hole digging puppy, a towel with a Puma sneaker and a little chalkboard. 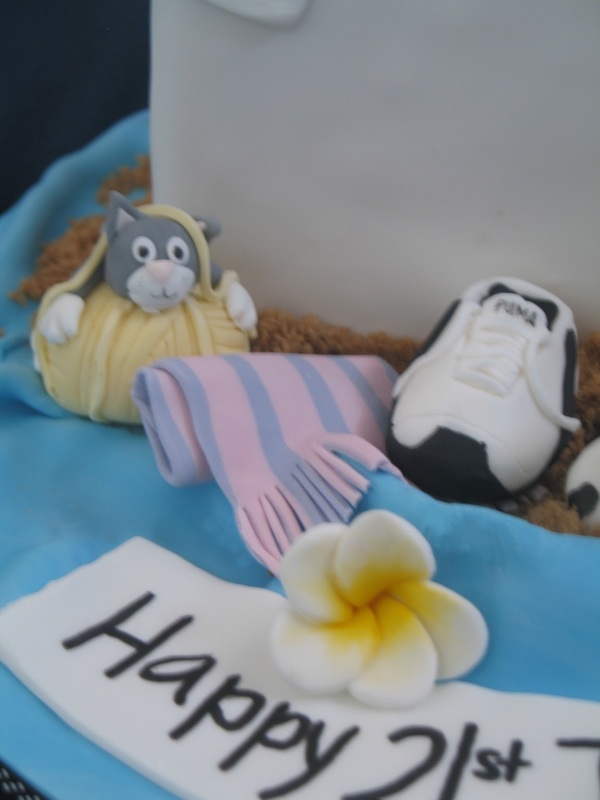 Her celebration was held at the Deckhouse Woolwich. A great venue for a beautiful lunch or dinner or perfect as a function venue!